Welcome to the Neuqua Valley Science Olympiad Regional! All information you need as well as forms/schedules will be available on this site. Please check back often for any last minute changes. ​Best of luck to all of our Regional teams! Please check the Event Supervisor List to see which Event your school will be running. ​Each participating team is required to be an Event Supervisor. If you have more than one team (1 Varsity and 1 JV or multiple JV teams), you may be asked to run more than one event. We are grateful for your help as well as the help of the State/National Event Supervisors coming to our Regional. We still have some events to fill-please contact Regional Director Paula Mueller if you are able to fill those positions or have someone who will. Please make sure that you are signed up and have an Avogadro account before 2/18/19. Self Scheduling for all building Events, Protein Modeling, Sounds of Music, and Experimental Design will open the week of 2/18. Please check back to this site and check email with specific day / time. **Please alphabetize your forms according to your team Roster(s) and divide them into 2 separate piles-one for Medical Release Forms and one for Media Release Forms. Rosters- Please complete one roster for each team (V and JV) and have your Principal sign the form(s).​ If you have 2 JV teams, you must fill out a roster for each JV team. All rosters must be in alphabetical order by last name and brought to check in. Varsity may have a max of 15 members, only 7 of which can be seniors. Volunteer Code of Conduct - You must have a Volunteer Code of Conduct for EVERY adult coach/volunteer that you bring to the Regional. All teams must fill out the Regional Demographics form prior to the Regional tournament. You are not allowed to compete in the Regional until you provide this information. If you make a mistake/need to update the form, you may submit the form more than once -we will use the latest submission as the most accurate one. **Teams need to fill out a form for EACH team they have (Varsity, JV, JV2). Buses should drop off students in the circle drive in front of the Main building and proceed to the front door marked "ACADEMICS". Coaches should check in their teams at the front table in the Rotunda to receive their team envelopes with wristbands/maps/homeroom information. Please have your Rosters/Medical/Participation Release forms in alpha order and ready to hand in at check-in. Building Maps will be available on the day of the event in your welcome packet. As you check in, our volunteers will count out the designated amount of wristbands for your team. Please do not leave the check in table until you do this. Students without wristbands will not be admitted to their events. Please read the Wristband Instruction sheet in your TEAM WELCOME packet that you will receive at check in.This will tell you what to do in the event of a lost/damaged wristband. Students without a valid wristband will not be allowed to compete. Homerooms will be given at registration. Please do not switch homerooms as we will need to know where everyone is should any issues arise throughout the day. Please do not leave homeroom items unattended. We are not responsible for lost/stolen items. 6. Headquarters/Hospitality/​Scoring/Arbitration-NO Volunteers, students, or Parents allowed in this area! Location: Library Media Center (LMC) - Coaches, Directors, and Event Supervisors only please. Coaches, Arbitrators, and Event Supervisors are welcome to join us for hospitality throughout the day. We will have breakfast items and we will also be serving lunch. There are also plenty of tables for grading after your event is over. Due to the quick turnaround of events in some of the classrooms/labs, many Event Supervisors will need to do their grading in this area. When you are done grading, please come to the LMC with your tests/answer sheets/answer key/clean copy of test/score sheet so scores can be entered in Avogadro. There will be a concession stand open in the COMMONS AREA near the gym from about 9am until about 2:30 pm. Candy, water, soda, chips, nachos, sub sandwiches, and hotdogs will be available. You are welcome to bring food/drink in your homerooms. For security reasons, students should not leave the campus at any time during the event nor should any food be delivered to the campus for your team during the day. Awards will start between 4:15 and 4:30 in the Auditorium. Parents may also attend this ceremony. Seating may be limited and will be given first to Teams/Coaches followed by parents. Check in for all Event Supervisors will be in the Rotunda of the Main Lobby. Please enter the building through the doors marked "Academics". Many thanks to all of our Coaches/Event supervisors for their dedication/time/effort to help make the Neuqua Valley Regional a success! We appreciate you! If you are interested in volunteering at the Tournament, please contact Paula Mueller at paula_mueller@ipsd.org. 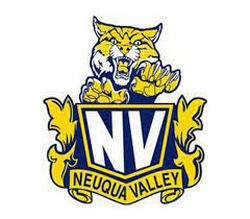 Neuqua Valley is an open and unsecured campus. Anyone can come and go on campus on the weekends. Coaches need to keep an eye on their students. Students should NOT go wandering off by themselves. Please advise your students on where they are allowed to go-Event Rooms if competing, Gym/Commons area to watch building events/concessions, or in their homerooms. Please ask students to leave all personal belongings in the homeroom. Personal belongings brought to an event will be placed at the front (or back) of the event room. NOTE ON CELLPHONES: Cellphones MUST be turned off and put inside a personal belonging that is left at the front (or back) of the room. Phones may NOT be kept on a student during an event. Students found with cellphones may be asked to leave the event and may be disqualified.